"We’ve spent the last ten years working with top console esports pros to develop industry-leading technology and world class industrial design. In the latest generation of A40 and MixAmp products, ASTRO is proud to present our best performing audio system ever." 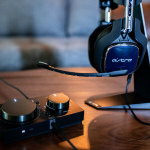 SAN FRANCISCO & LAUSANNE, Switzerland--(BUSINESS WIRE)--ASTRO Gaming, a leader in premium video gaming equipment, is introducing its fourth generation of the award-winning A40 Tournament Ready (TR) gaming headset and MixAmp Pro TR technology; delivering the industry’s most innovative audio experience available. This collection of products, designed for Playstation 4, Xbox One, PC and Mac users, was developed to meet the rigorous standards of professional gamers. 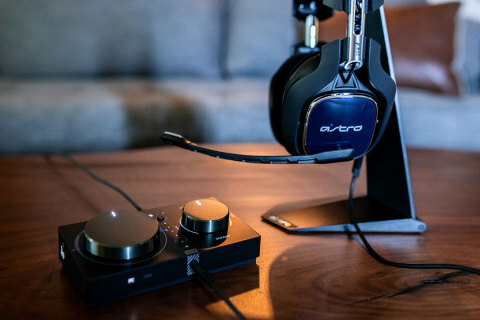 ASTRO delivers immersive game audio along with unrivaled performance, comfort and durability. ASTRO Gaming, creates premium video gaming equipment and lifestyle products for professional gamers, leagues, and gaming prosumers. ASTRO Gaming was spun-off from design powerhouse ASTRO Studios, known in the gaming world for designing the Xbox 360®, along with Alienware™ and HP® Gaming PCs. ASTRO Gaming produces a line of gamer-centric "tech-life" products that support this rapidly growing community. All ASTRO Gaming products are available at astrogaming.com. Connect with ASTRO Gaming on Twitter @ASTROGaming, Instagram or our blog. ASTRO Gaming is a brand of Logitech International. Founded in 1981, and headquartered in Lausanne, Switzerland, Logitech International is a Swiss public company listed on the SIX Swiss Exchange (LOGN) and on the Nasdaq Global Select Market (LOGI).